The Head Intellistring 1.30mm squash string set is 10m (33ft) long and ensures a great combination of power, durability and feel. It has a gauge of 16 (1.30mm) and features a multifilament centre core with high density braided wrappings. The string set guarantees fantastic tension maintenance and has a slightly textured copolymer surface. for submitting product information about Head Intellistring 1.30mm Squash String Set We aim to answer all questions within 2-3 days. 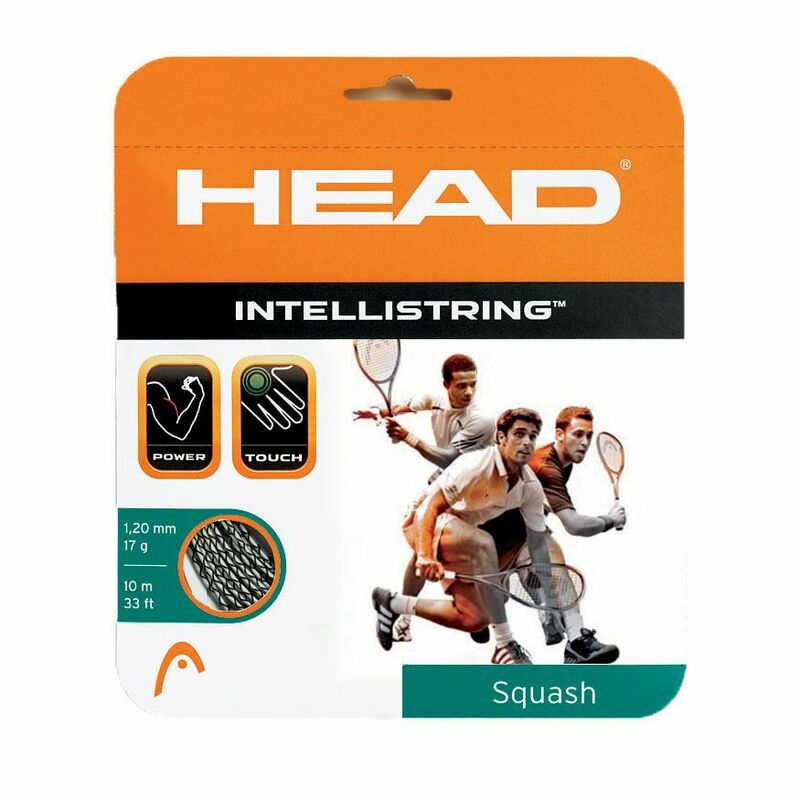 for submitting product information about Head Intellistring 1.30mm Squash String Set. We aim to answer all questions within 2-3 days. If you provided your name and email address, we will email you as soon as the answer is published. for submitting product review about Head Intellistring 1.30mm Squash String Set.